Québec City is a great destination for solo travelers. There are tons of things to do and see that are just as fun on your own! 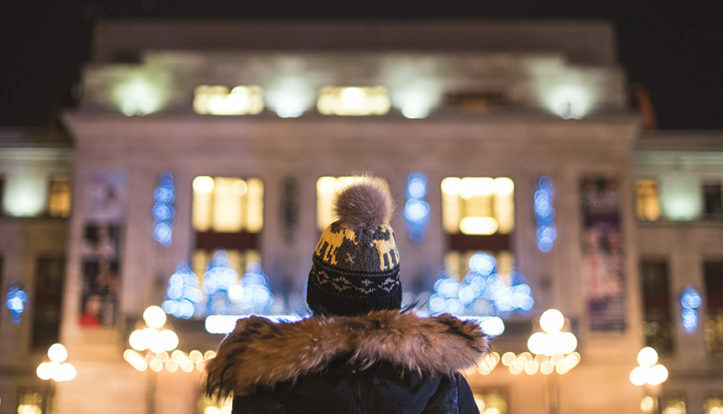 Whether you’re in town for business or pleasure, here are some suggestions from the concierge team at Hôtel Château Laurier Québec to help you make the most of your stay here. Traveling doesn’t have to throw a wrench in your fitness routine. There are so many ways to be active here! Try some of these on for size. Québec City is built on a promontory, which makes for lots of hills and great vistas. Some of the city’s staircases are particularly good for a workout. If you’re in really good shape, you might even want to tackle the Cap-Blanc stairs. The river views—and those 398 steps—will take your breath away! Right out the door of the hotel are the expansive Plains of Abraham, where you can enjoy a little crosscountry skiing, snowshoeing, ice skating, or even just a stroll. Boots, poles, skis, and snowshoes are available from the rental center at the skating rink chalet. The park also boasts two heated rest areas and a waxing room for skiers. You can now even take private crosscountry skiing lessons with a top-tier athlete on the Plains of Abraham for $75/hour. Learn more and book a lesson at United for Sport—just make sure you select “Quebec City (Downtown)” in the drop-down menu. Québec City boasts a wealth of museums, with something to appeal to every interest. And if you’re traveling alone you don’t have to please anyone but yourself—so what better time to indulge your curiosity? 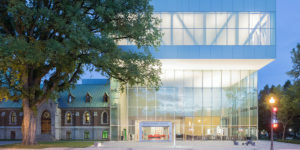 If you like cultural history, you’re sure to enjoy Musée de l’Amérique francophone and Musée de la civilisation. The two museums are within easy walking distance of each other, but plan to spend a good half day at each—plus a stop in one of the many cafés and restaurants in Place Royale or near Notre-Dame de Québec. Not far from Hôtel Château Laurier Québec, you can explore Québec City’s rich military history, from the time of New France to the present, at the Plains of Abraham Museum and the Citadelle, with its Musée Royal 22e Régiment. And if you’re a fan of contemporary art, the exhibitions at Musée national des beaux-arts du Québec are sure to please. The museum’s architecture alone is worth a detour, especially the old prison and the recently opened Pierre Lassonde Pavilion. The collection of Inuit art is particularly well regarded. If you get hungry you’re in good hands with chef Marie-Chantal Lepage and her delicious creations. Another really fun way to spice up your stay in Québec City is to take a cooking class. Sign up for a group class to learn the basics of Indian cooking, brioche baking, or tapas making—and that’s just to whet your appetite! Ateliers & Saveurs offers a smorgasbord of classes, including on mixology and wine pairing. 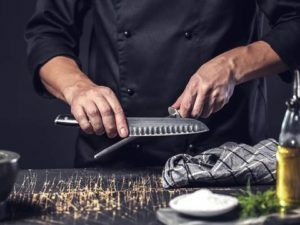 Académie culinaire presents classes on Middle Eastern cuisine and making your own bread, as well as their famous 6@9 Toque & Canapés sessions, where participants spend the evening cooking together, glass of wine in hand, under the supervision of a chef! Whatever you decide, make sure you select “Québec” as the location to see all the options available in the city. Taking a swing lesson or going dancing is another groovy way to spend a night out, and maybe even meet some cool people. Here’s your chance to jump, jive, and wail! The Port-O-Swing dance studio holds free DJ dance parties two Thursdays a month at Salons d’Edgar. Singles are welcome and everyone can kick up their heels doing the Lindy hop and cutting loose to rockabilly classics. Tempo Swing also offers classes and special events such as their Hot Tempo happy hour events where you can learn the Balboa or the Charleston. You have to register, but you don’t have to know how to dance! Check the swing calendar to see the full lineup. To round out your stay, feel free to ask our concierge desk for suggestions of restaurants, pubs, microbreweries, or bars to check out. We’ll be happy to give you some tips and, if you want, help you plan your itinerary. Have a wonderful stay in Québec City!